Antique Turkish Sirt Rug, Origin: Turkey, Circa: Early 20th Century – The abstract sensibility of tribal rug weaving reigns supreme on this striking and unusual antique Turkish rug. 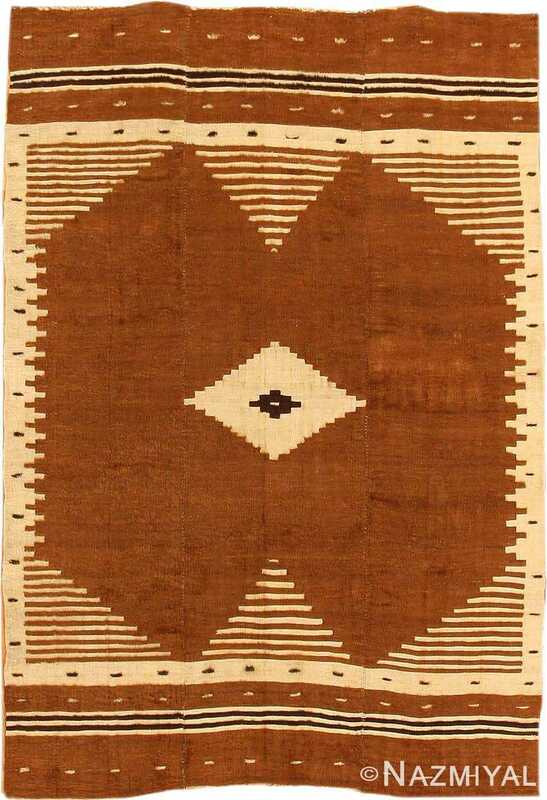 The bold, graphic simplicity of the design with its stepped medallion, crenelated sides, and no true border all indicate clearly that this pile rug was inspired by a flat woven ‘Kilim’ in slit tapestry technique. But here the pile technique adds a whole new dimension of plush velvety luxury that is simply impossible in tapestry technique. The restrained palette of cinnamon and tan helps to assert the underlying aesthetic that less can be more when handled with taste and thoughtful restraint. 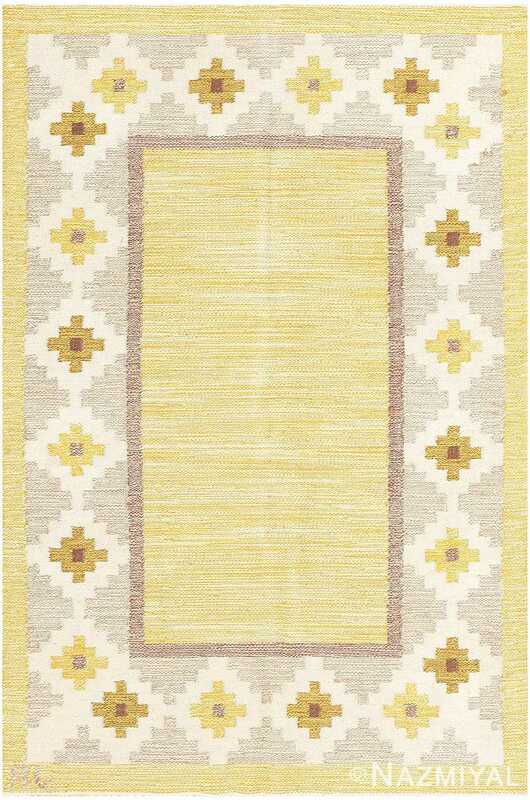 Although inspired by traditional tribal weaving, this piece is eminently decorative and has a strong modernist appeal. 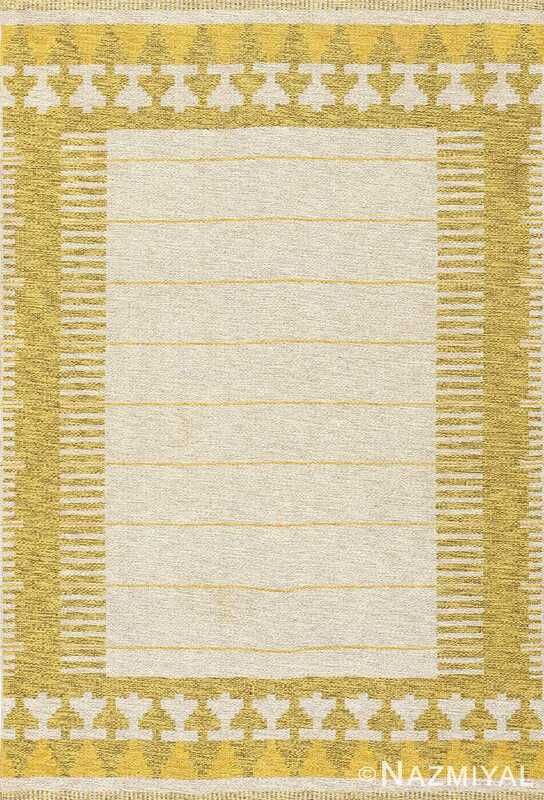 Featuring a design that graces some of the finest mid-century Swedish rugs, this charming example is possessed by a subtle beauty that is enhanced by its muted pallet of yellows. Beautifully evocative of the style, this Swedish carpet effectively communicates minimalism, as well as a coming together of contemporary and traditional elements of design.